With the hype for King Records growing, Snell decided to host an event that simultaneously honored the legacy of King Records and its artists while also raising funds to preserve the King Records building. On August 25, music fanatics from across the region will gather in Memorial Hall for the Celebrate the King gala. Celebrate the King will be unlike what most people think of when they hear the word “gala.” Tickets are available to all ages and the itinerary is full of innovative and charismatic events. From the James Brown Panel [featuring the Sisters of Righteous, James Brown’s backup singers, and Alan Leeds, Brown’s manager] to School of Rock youth performing alongside King Records Legends and even a Lifetime Achievement Award ceremony, there will be something for everyone to enjoy. Involving the youth of Cincinnati is one of Snell’s biggest goals. “We’ve been encouraging small businesses to pay it forward so that SCPA, ArtWorks kids ArtWaves, you know different Cincinnati Public Schools can get in for free,” he says. 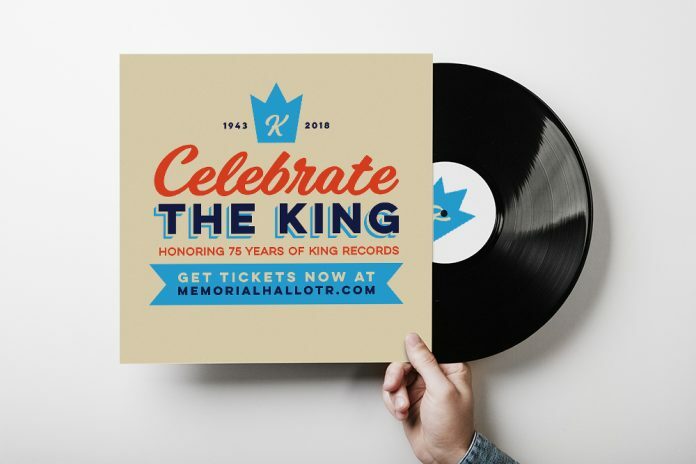 Although there has been a lot of debate over whether or not King Records is a building worth preserving, Snell believes it’s important for young and old people alike to be educated on King Records’s history. “I think a lot of times Cincinnati, we don’t allow ourselves to enjoy all those amazing things we’ve accomplished here,” he says. “I think King Records is one of those things where we need to stop for a second and really appreciate all that hard work that all those individuals did, not only with music, but with civic.” From the recording of the world’s first Funk song to the first female CFO in the country, the first African Americans involved and the first jobs offered to Japanese Americans after the war, King Records has left its mark on Cincinnati in more ways than one. “As we discover more about King Records, I think it sort of gives us more licenses to push our own art and continue to ask questions,” Snell says.